In June, Jomo Kenyatta University of Agriculture and Technology launched a laptop called the Taifa A3. The Taifa A3 sports a 2.4Ghz, 4th generation core i3 processor, comes with 4 GB RAM and a 500 GB hard disk. In addition to 3 USB ports and a HDMI port it can go for up to 7 hours on a single. 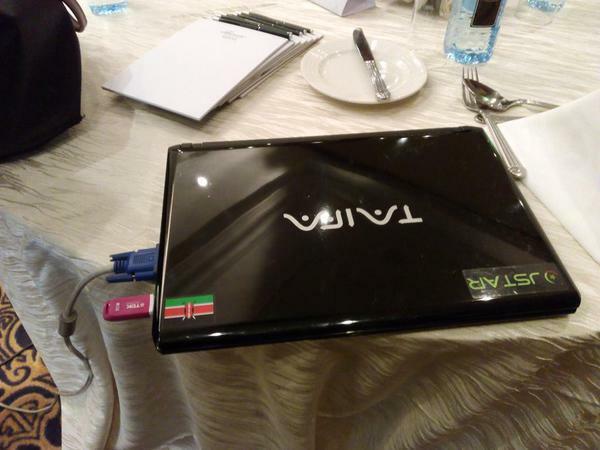 The 14-inch laptop runs on Windows 8.1 and is set to retail at Kshs. 49,000. Interested buyers were to get the devices from BJ Electronics, Red Dot or purchase one directly from the University. During the launch, JKUAT also outlined plans to locally assemble the laptops at the Nairobi Industrial & Technology Park in Juja beginning September 2015 with plans to assemble up to 6,000 devices once fully operational. The Taifa A3 was assembled in a partnership between the University and Chinese company Inspur. Other organizations involved included Chip maker Intel and Microsoft. Most of the customers of the laptops were largely JKUAT students and staff and the university is now taking it a notch higher by issuing new students with the devices. In letters of admission sent to prospective JKUAT students, the University plans to issue new students with the devices at a cost of Kshs. 41,000 payable in two installments. In the letter, JKUAT says it has integrated ICT in all its courses with some being taught and examined online hence the need to acquire the “high-end Taifa Laptop”. Students are expected to pay the first installment of 22,000 at KCB Juja branch and will be issued with the new devices upon completion of the registration process. The document does not seem to have an opt out option for the prospective students. But what if they already own laptops? Or if they can’t afford the laptop even with the installments structure. They should have not make it compulsory, it’s not fair.